Pedal Revolution Events are thrilled to announce the return of this unique season opening cycling event. 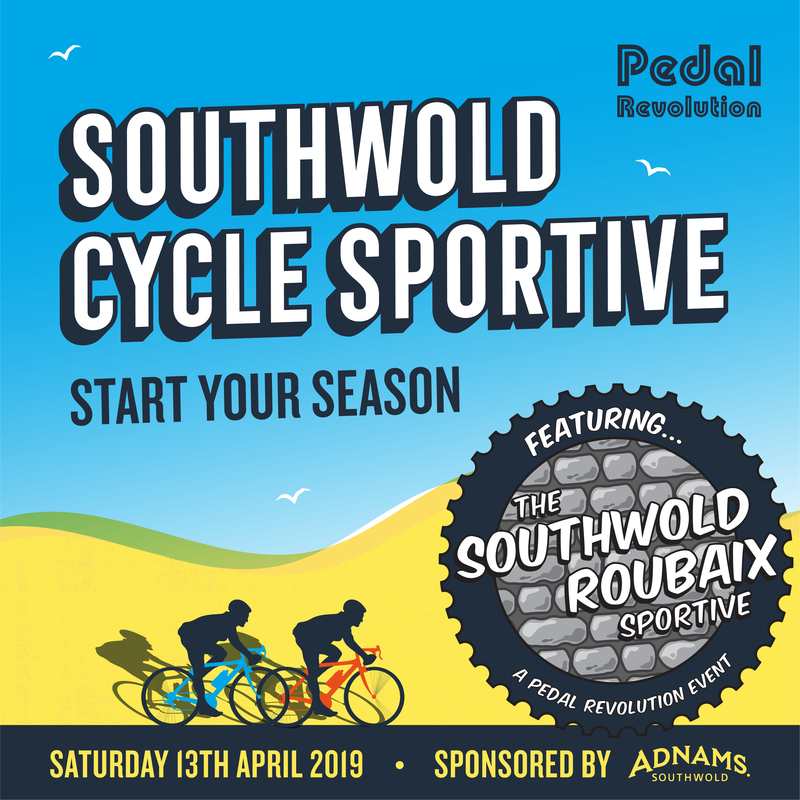 Following last year’s successful inaugural event, ‘The Southwold Cycle Sportive’, featuring ‘The Southwold Roubaix Sportive’ will return to the picturesque seaside town on Saturday 13th April 2019. The Southwold Cycle Sportive is a recreational cycle ride with routes and distances to suit all ages and abilities. It will feature 25 and 50 mile routes as well as a family friendly ride. Held mainly on quiet roads each route will incorporate optional rough and unmade paths. Our family ride should take you just one hour to cycle – perfect for little legs! The Southwold ‘Roubaix’ Sportive is our tribute to the famous Paris-Roubaix a gruelling road race renowned for its cobbles, crashes, broken bikes and exhausted riders caked in mud and muck. Held the day before the famed race, our tribute to this classic will be gentler than the Arenberg Forest, but will still feature several sections of rough, unmade paths or cobbles. The 75 mile route will head to Woodbridge where riders will stop for lunch before heading back to Southwold. Fully supported with mobile mechanic and ‘broom wagon’, drink stops along the way and a huge choice of cafés, pubs and restaurants in Southwold for coffee and cake, or lunch.